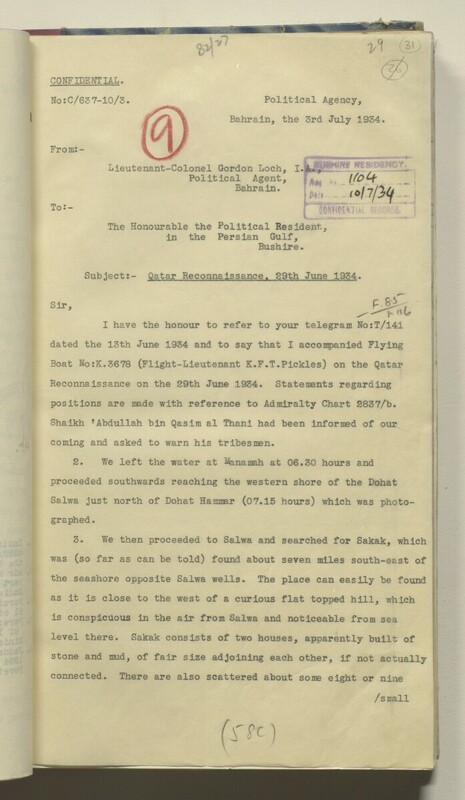 Subject:- Qatar Reconnaissance. 29th June 1934 .
positions are made with reference to Admiralty Chart 2837/b. coming and asked to warn his tribesmen.